As Chris Newman reached the peak of Table Mountain and looked out over the town of Cape Town, South Africa, below, he had the startling realization of how much of a feat this was. Not only was this the first mountain he had ever climbed — and not only did he travel some 8,215 miles from Columbus to do so — but he also realized that he was having a deeply personal and unique experience unlike anything he could have ever imagined. Growing up in a poverty-stricken neighborhood on the south side of Columbus, Newman never thought that attending college — let alone studying abroad — would be in the cards for him. After being inspired by the then-television show Save My Son, on which black families sought guidance and intervention for their sons, Newman saw too many similarities to his own environment and decided to make a change. For about five years, he taught underrepresented minority students, developing a system of reading and writing adaptability called Project Lit-Ed. As part of the program, students sent a letter to President Obama and were thrilled to receive a response. “For my students, many of whom struggled academically and personally, they never would have dreamed Obama would have personally written to them,” Newman said. While his initial career goal was to teach young students to offer positive intervention, earning an associate’s degree in early childhood education from Kaplan University along the way, Newman realized that he could have more impact as an academic at the post-secondary level. As a next step, he applied and was accepted to the Department of African American and African Studies. 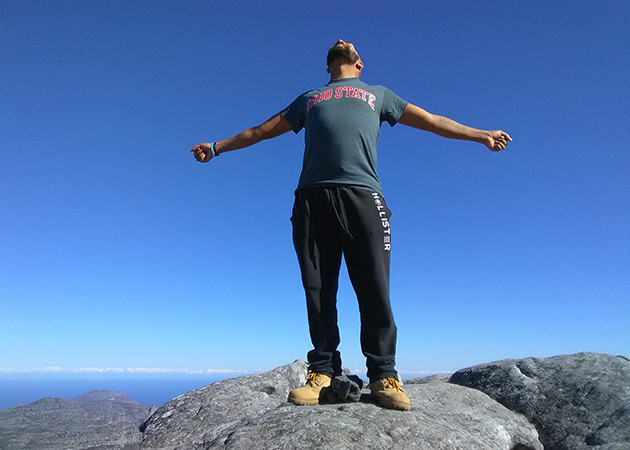 After taking a class on the African diaspora with Lupenga Mphande, associate professor and director of the South Africa study abroad program, Newman realized that an immersive experience in South Africa would be a perfect complement to his education. However, with money being tight, a trip would be unlikely without needed support. Taking a chance, Newman applied for and was awarded a Keith and Linda Monda International Experience Scholarship. Established by Keith Monda (’68, ’71 MA) and his wife, Linda, these need-based scholarships every year enable dozens of Arts and Sciences students who normally would not have the opportunity to travel and study abroad to have an international experience. So far, The Keith and Linda Monda International Experience Scholarships Fund has empowered hundreds of Ohio State students to travel to more than 40 countries. This investment in study abroad scholarships has enabled students like Newman to have transformative experiences around the globe. Having experienced the impact of their scholarship firsthand, Newman is grateful for the Mondas’ desire to help students like him. Through his study abroad experience, Newman was able to learn more about apartheid in South Africa and draw parallels to the civil rights movement in the U.S. His mother was born in Birmingham, Alabama, in 1950, and through her and elder family members, he had an understanding of the impact of Jim Crow in America. And as a child of the late 1980s and early 1990s, Newman had at least an awareness of apartheid in South Africa. Newman is also open about the daily challenges he faces with clinical depression and bipolar disorder, and he hopes his education journey, however nonlinear it may be, can help others fighting their own personal battle realize they are not alone. The Keith and Linda Monda International Experience Scholarships have had a significant impact on students in Ohio State’s College of Arts and Sciences since 2012. Each year, in perpetuity, the need-based scholarships will enable dozens of Arts and Sciences students who normally would not have the opportunity to travel and study abroad to have an international experience. Students have been all over the world, participating in programs like Dance Denmark; Genocide and Its Aftermath in Rwanda; Japanese Language and Culture in Kobe; Social Issues and Human Rights and Nicaragua; Impact of HIV: Tanzania; Berlin Then and Now: People, Places, Experiences; Multicultural Histories and Legacies of Rome and London; Shanghai 1750-2050: Chinese Hub Port, Treaty Port, Global Mega-City; and Global May New Zealand. 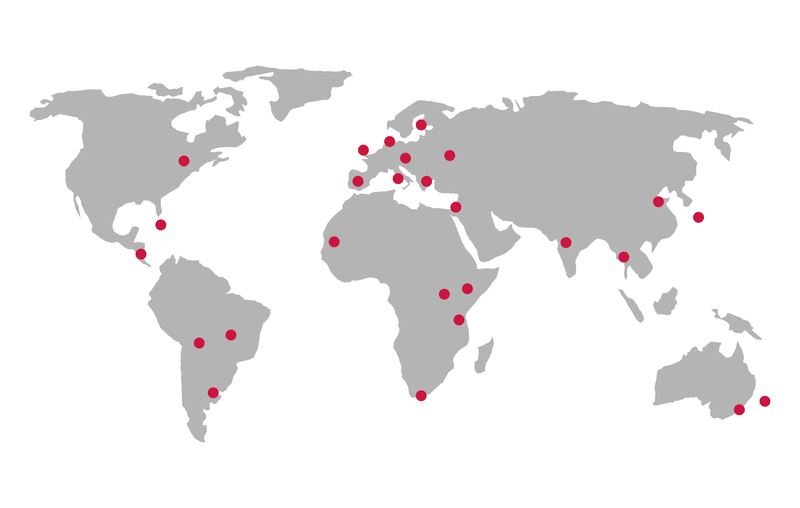 Since its inception, The Keith and Linda Monda International Experience Scholarships Fund has empowered hundreds of Ohio State students to travel to more than 40 countries, some of which are shown below.